Alta Utah was a bustling mining town even before it actually was a town. 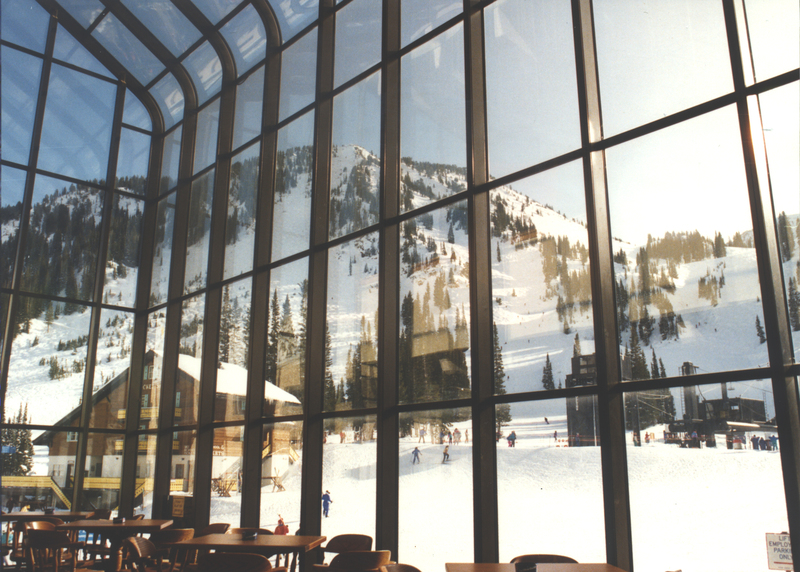 Boasting many saloons to satisfy the silver miners, Alta had a rich history. 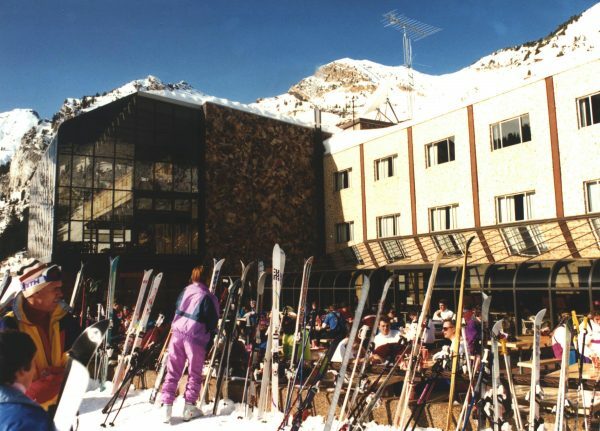 Today Alta is more well known for skiing and the many legends that grew out of earlier days, including the one about gold mining. 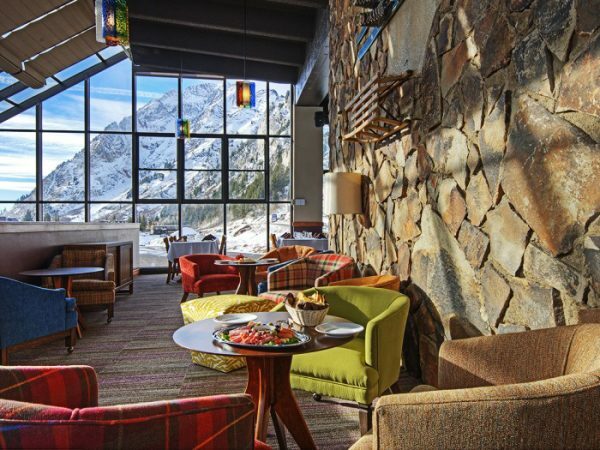 Built on the site of one of the more famous saloons, by the same name, the Goldminer’s Daughter is a ski and stay lodge perfectly situated within the snowy mountains. The lodge started as a public shelter for random skiers. 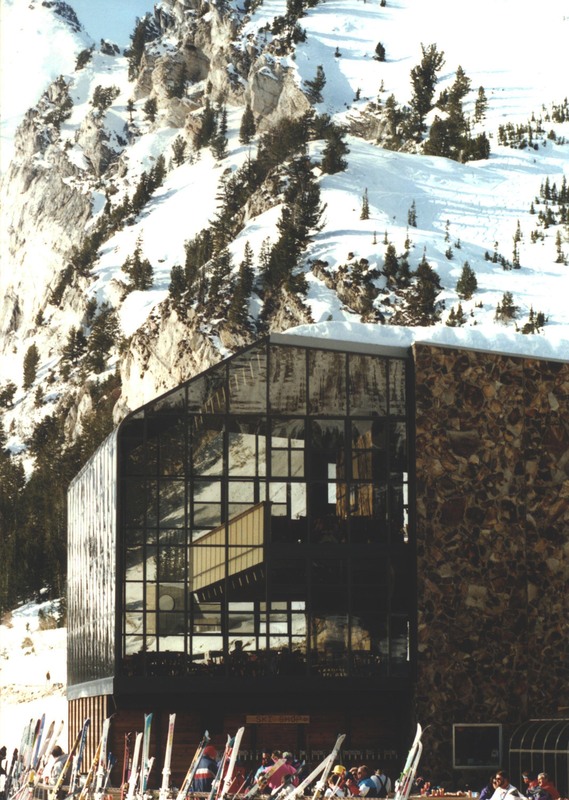 In 1962 the “shelter” became an actual lodge with only 16 rooms and 1 public bath. It has since grown considerably to include suites with private baths and a very nice area for visitors to dine, visit and admire the view from within the oversize conservatory built by Crystal Structures. The glazed structure measures 48′ across, 25′ deep and almost 20′ tall. Inside there is a main dining area and a loft with casual seating. 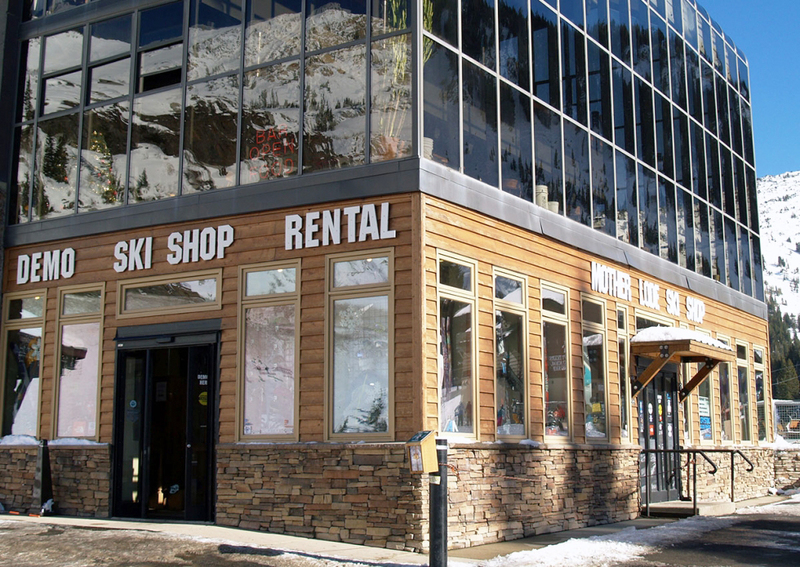 Under the oversize conservatory is the new Powder Room ski shop, ready to outfit customers with the latest in ski wear. And this isn’t the only glazed structure on the mountain. 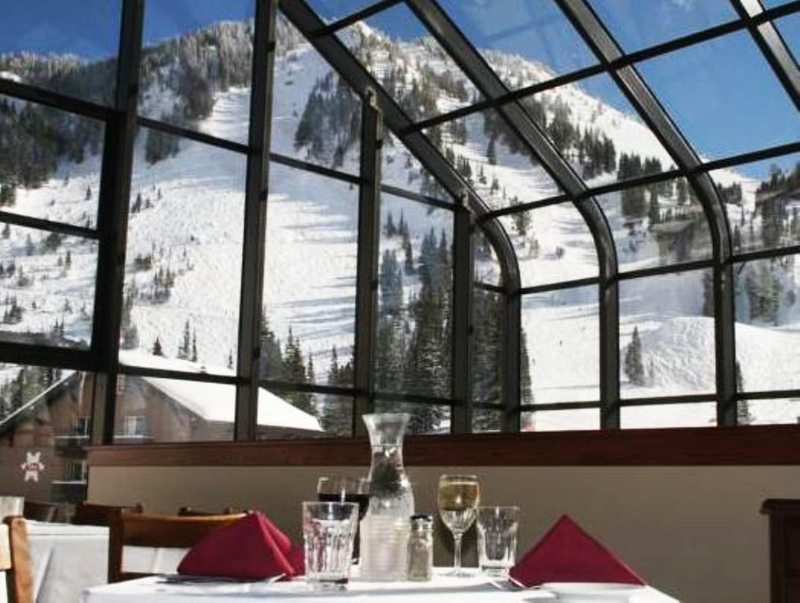 There is also a smaller glazed solarium walk out patio for skiers to use as a rest and prep area. 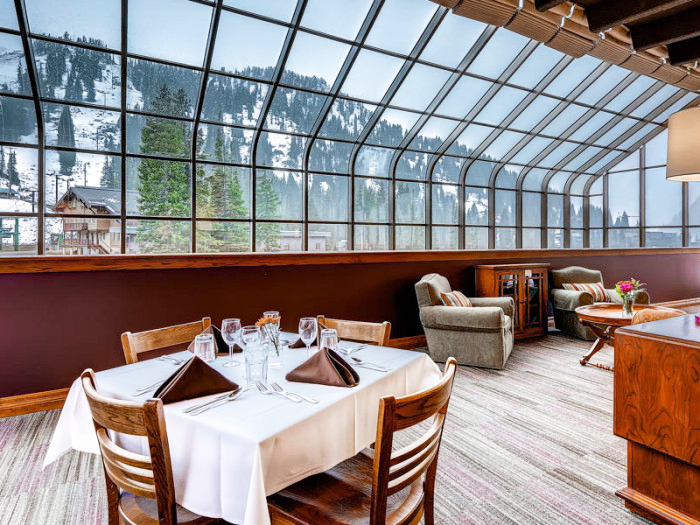 Although built in 2003, this glazed structure has stood the test of time and is ready to host a new group of guests this ski season.